This drowned Capniidae adult showed up in my drift net sample while I was looking for nymphs. I took photos of the drowned adult in water like a nymph. 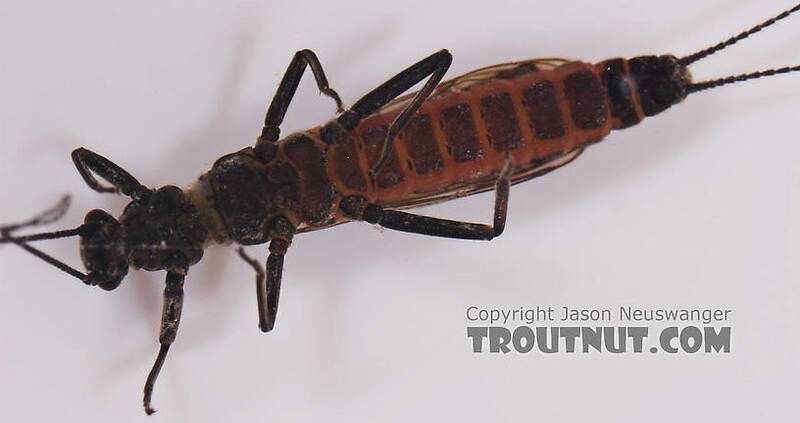 This stonefly was collected from Salmon Creek on March 29th, 2005 and added to Troutnut.com on April 7th, 2006.